Fred Curtis Sr. opened the Curtis Tractor Cab company for business in 1968. 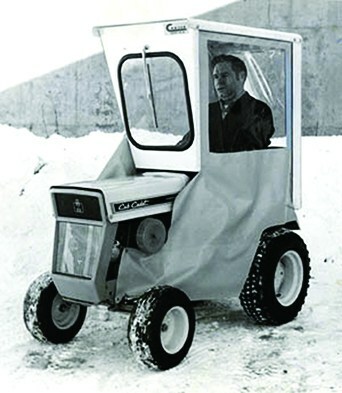 He probably never could have predicted that his Curtis Tractor Cab company would one day become the most innovative designer and manufacturer of compact vehicle enclosure systems. As well as the lead designer of attachments and related accessories. In those early days the demand was for small agricultural tractor cabs. These needed to shield the operator from wind, rain and snow. Today you’ll find Curtis Tractor Cab products on a growing list of tractors, mowers, recreation and work vehicles worldwide. No longer the simple enclosures that Fred Curtis imagined. Now, Curtis offers full featured cabs incorporating innovative designs engineered for safety, comfort and versatility. Curtis is now working with dealers and major vehicle manufacturers. As such, Curtis now serves multiple end markets including the government, golf, home owner, agriculture and commercial, just to name a few.